Werner Is Now Hiring Company Team Drivers In In The Hartford, CT Area! 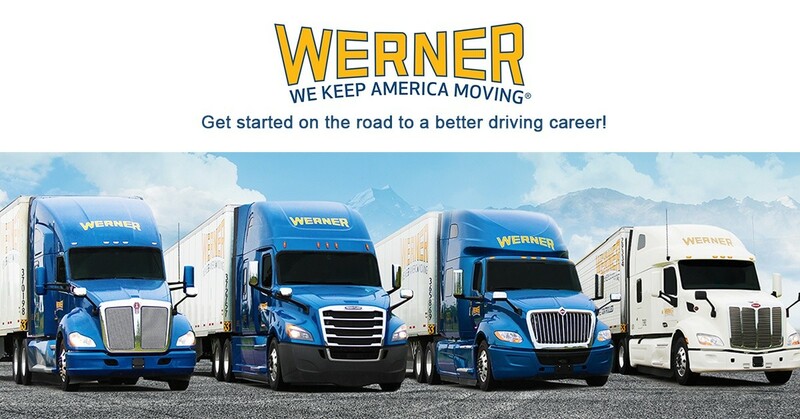 Werner is Now Hiring Company Team Drivers! CALL TODAY 855-888-6439! Looking for full teams and solo drivers interested in team driving in the 48 continental states. Solo drivers can be matched with a teammate through the Werner Team Pair Up Department. Teams at Werner benefit from single source dispatch and load planners, priority on breakdowns and priority on truck assignments. Teams receive a higher length of haul, higher pre-assigned loads and a higher percentage of no touch freight. Werner Enterprises’ production is 10% higher than our competitors, makes Werner Enterprises’ drivers some of the highest paid in North America. Paychecks -- When and How? Werner Enterprises has made it easier, faster and less expensive for you to drop an envelope into a TRIPPAK EXPRESS drop box after every load. With this program in place, your money is available to you faster than ever before. Every Thursday, you can have your check mailed to your address or direct deposited to your bank. Thanks to our many divisions and diverse operations, our drivers may live in any area of the country they prefer. Everything is taken into consideration when matching a driver with a division, including mileage requirements, home time needs and route preferences. Proving that no matter where you live, you can take your career in any direction you want. Over 70% of our driving jobs are in more attractive, shorter-haul Regional and Dedicated fleet operations that enable us to return drivers home more frequently. This system replaces traditional paper logbooks. It’s connected via satellite through QualcommTM and assists drivers in tracking their hours of service. No lines. No math, no paperwork. You can focus on driving. If you are a recent driving school graduate and are thinking about becoming an owner operator, ask your recruiter for details!